CLICK HERE to learn more about our new TRANSFER DISCOUNT. YOU BELONG AT LCS. At Lansing Christian School, students don’t merely “fit in,” they belong. Their unique identity in Christ is what makes them special in our community. In a world that’s constantly clamoring to sell the idea that your identity lies in your successes or the number of likes you can generate, we believe that each student should know they belong to Jesus Christ and that they make our community better and stronger with their presence. That’s life-changing stuff for a kid! YOU ARE BEING EQUIPPED. LCS offers a rigorous and relevant Christ-centered education that prepares students for college, career, and to serve their communities. Small class sizes, a comprehensive K-12 STEM curriculum, and unique collaborative learning spaces provide students with exceptional programs and resources in an academic environment where faith and a Christian worldview are integrated into every subject. YOU HAVE A PLACE IN GOD’S STORY. LCS partners with parents to provide a caring education that spiritually & academically invites, nurtures, & empowers students to live out their unique role in God’s story. When students graduate from LCS, they are not only prepared to thrive in college, they are ready to engage & transform the world for Jesus Christ. Being a teenager can be hard. Transferring to the right school doesn’t have to be! You want the best education for your teen. You want a learning environment where they can thrive and flourish. You want a place where they belong. But finding a school that’s the right fit isn’t the only challenge; transferring to a tuition-based school can also be daunting for families. 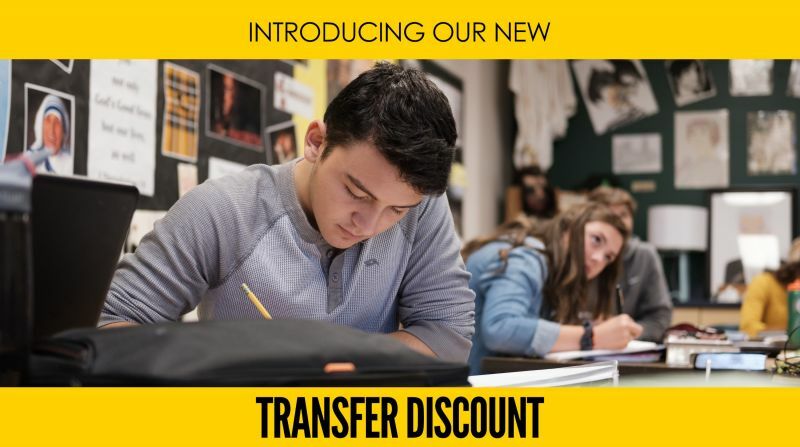 That’s why we’re now offering a TRANSFER DISCOUNT for new students entering grades 6-12, which significantly reduces the tuition for their first year at LCS. For more information about our Transfer Discount and our Variable Tuition program, CLICK HERE.